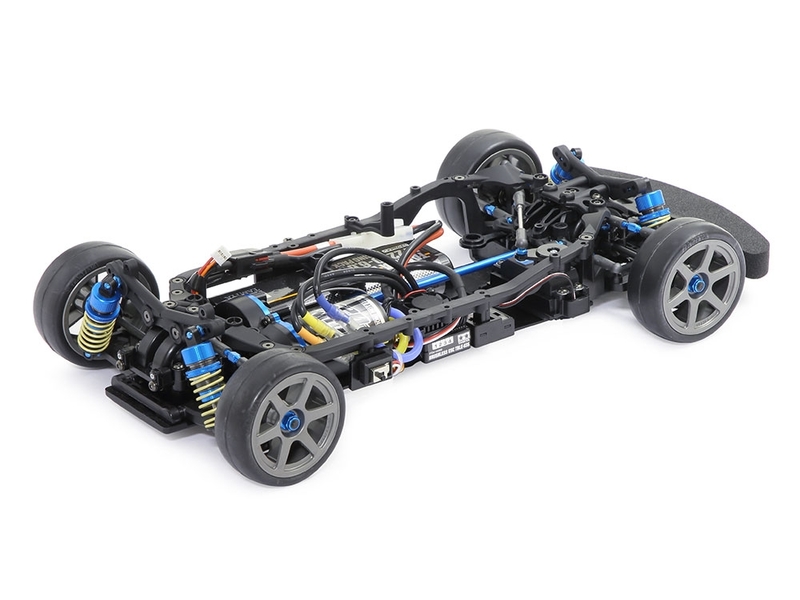 This is the 5th generation TB touring car chassis. 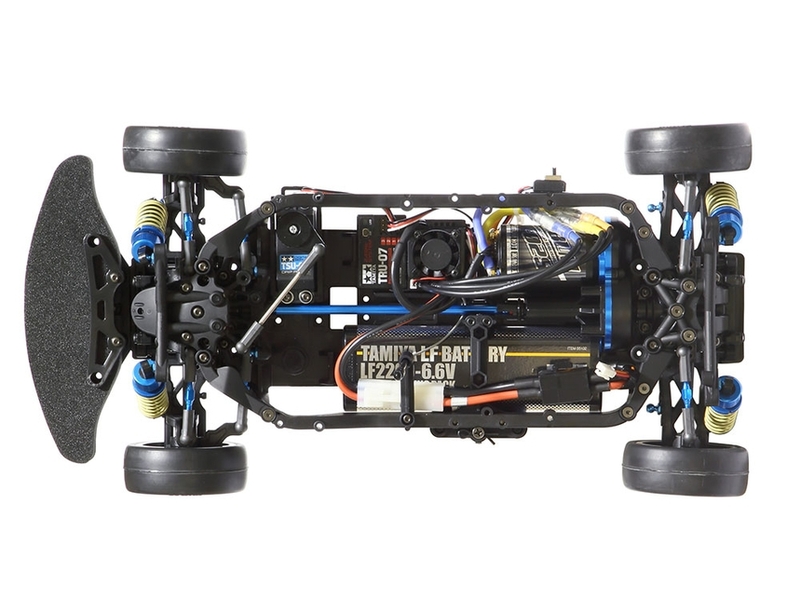 It is an efficient shaft-driven 4WD model in which many of Tamiya’s popular sports car and GT racing body sets may be fitted to. 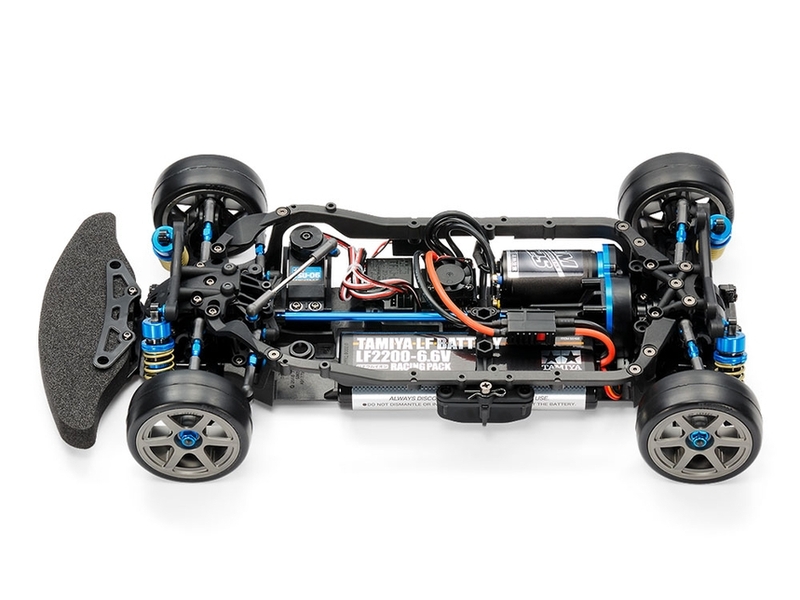 The chassis itself is a completely new design that brings significant changes compared to previous models. First, its composite structure with integrated lower deck and side frame sections facilitates a largely symmetrical design for balanced steering response. 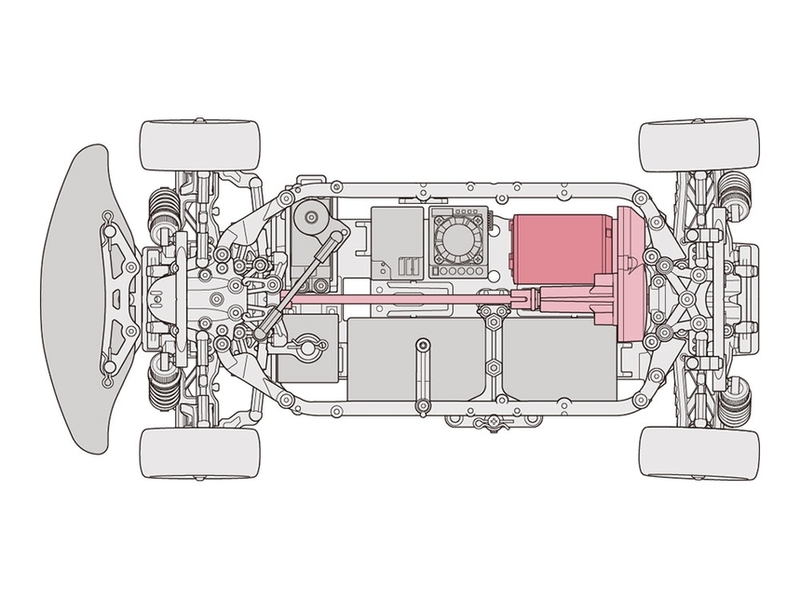 Secondly, the chassis has two motor installation layouts, which allows you to tune the balance of the car depending on the track layout. 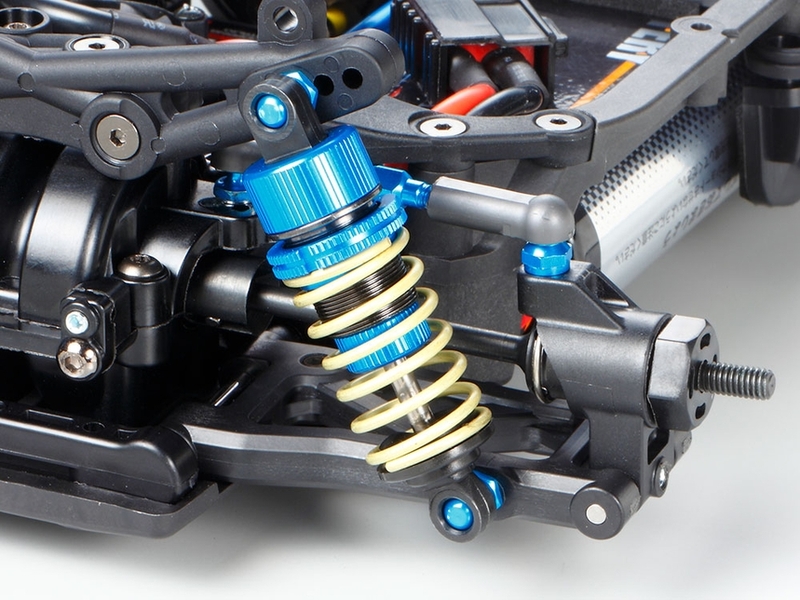 Lastly, the proven suspension components from the TA07 PRO are used and are compatible with all existing suspension mount options available from the TA-07 and TRF419X chassis models. 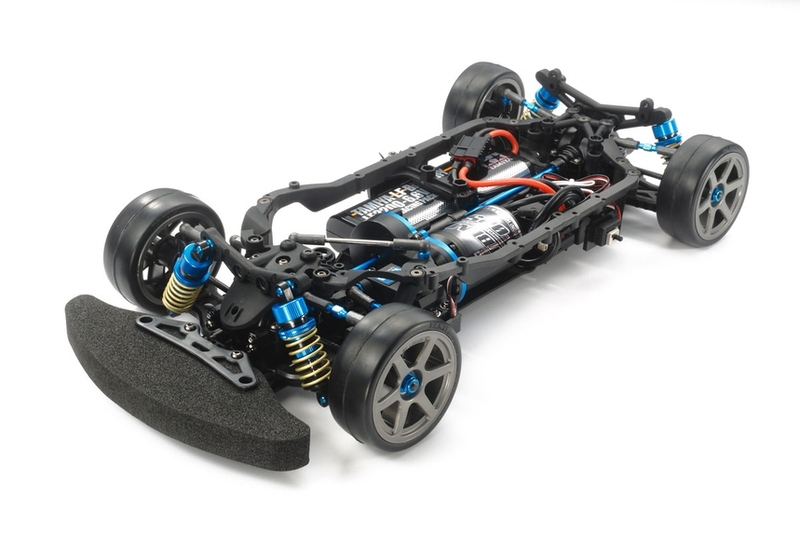 The kit comes with full ball bearings, aluminum propeller shaft, universal shafts and oil-filled gear differential units, which help keep the drivetrain smooth and efficient. •	1/10 scale R/C chassis assembly kit. 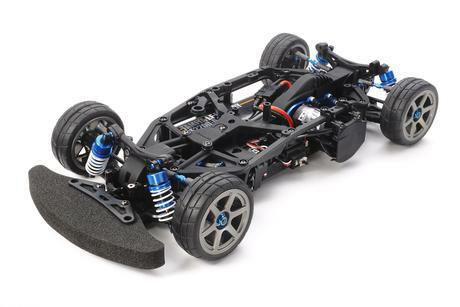 Length: 370mm, width: 187mm, wheelbase: 257mm. 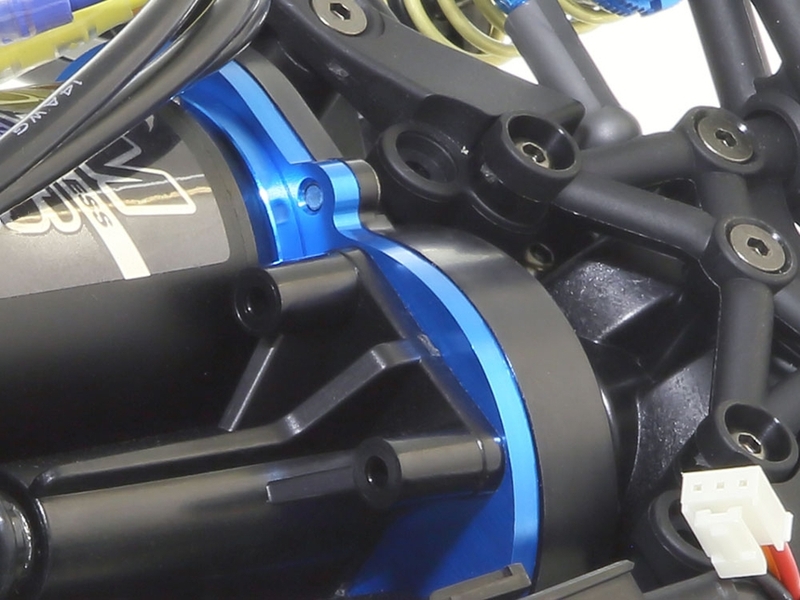 •	Racers can choose between 2 inline motor positions: In the front-center for emphasis on stability, or in the rear for more focus on acceleration. •	Utilizes TA07 PRO suspension components. •	Steering Ackerman inspired by the TB EVO. 7. 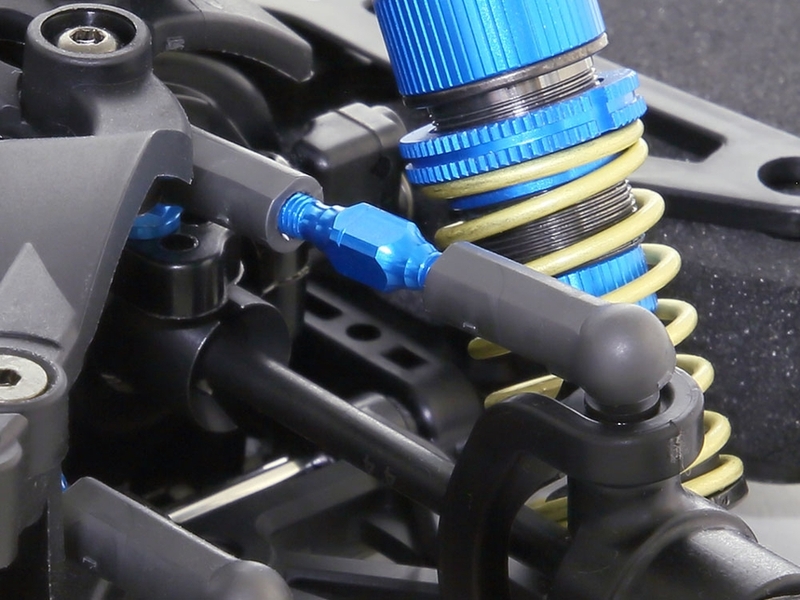 •	Includes TRF special shock dampers. •	Aluminum center propeller shaft. 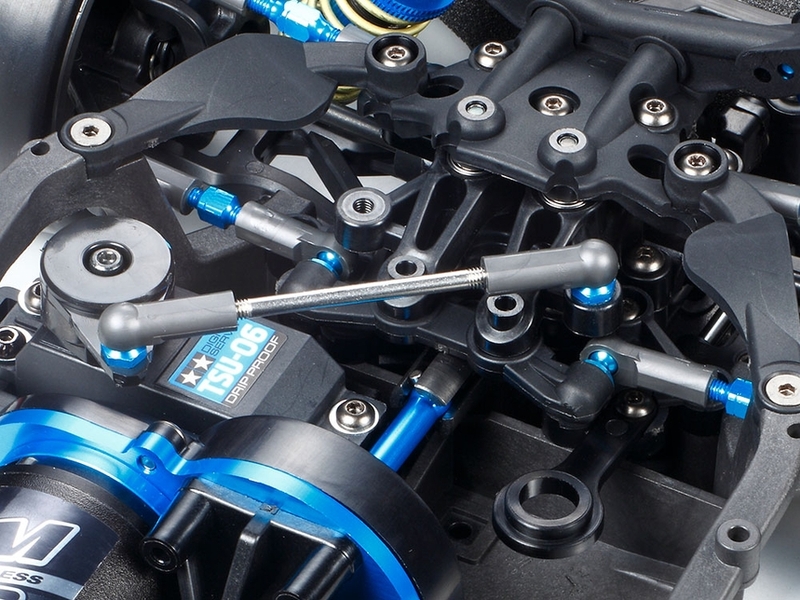 •	Steering linkage is attached to TB-04 design bulkheads for minimum chassis roll. •	Wheels and hi-torque servo saver included. 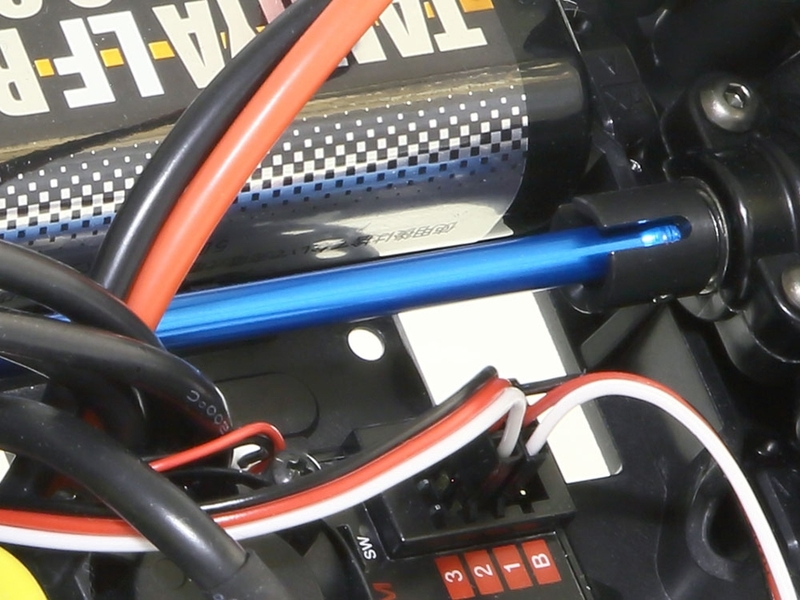 •	Compatible with IFMAR/ROAR battery pack sizes. 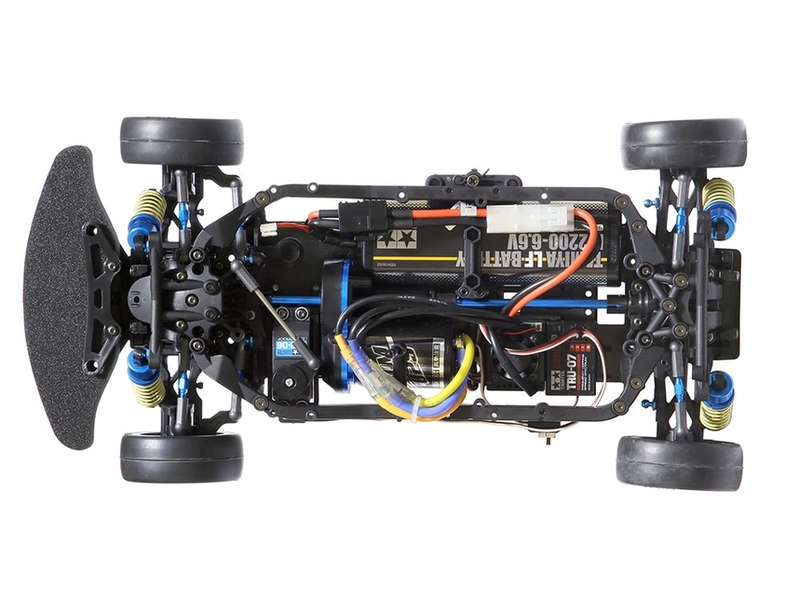 •	Requires: Body, motor, tires, R/C equipment (transmitter, servo and ESC), battery pack and charger to complete race spec car. 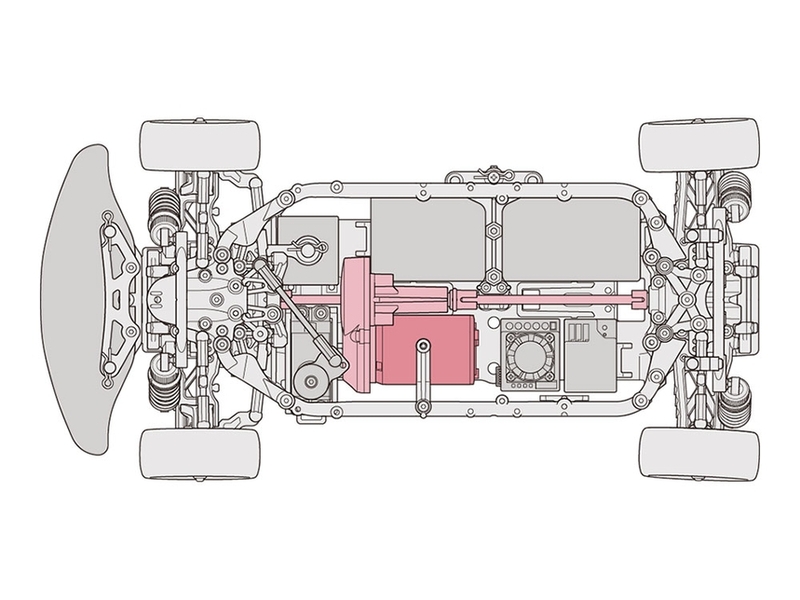 Special Feature 1 Chassis may be configured with front or rear motor layout.